Experienced, Award Winning, Cutting-Edge. We deliver corporate events nationwide. 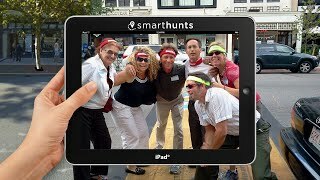 Our high-tech team building events and scavenger hunts are delivered on iPads® using our proprietary apps. We’ve designed and trademarked many of the top programs in our industry, including a line of high-tech team building events using our patented app technology. Our lead facilitators average 15 years experience and are continually trained in the newest delivery techniques and technologies. Best Corporate Events – Large Group Specialists! Build-a-Guitar® – fun, charitable team building event! 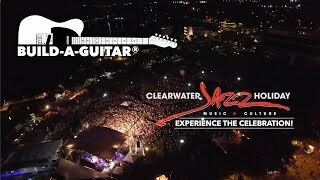 Clearwater Jazz Holiday Festival – Build-a-Guitar® for Charity! Best Corporate Events, LLC channel is new to VideoAmigo. Select from the following topics where Best Corporate Events, LLC is classified. A channel's spider chart is made up of 12 data points. This spider chart demonstrates how Best Corporate Events, LLC performs against each of the 12 data points. The teal line represents Best Corporate Events, LLC, and the black line represents the average performance for the 924 channels in the Business Team Building topic. Total Views: This channel's Total Views of 716,782 is 3084.85% higher than the topic average of 22,506. All activity starts with views. The more there are, the more opportunity there is to grow by engaging viewers. View Growth: This channel's View Growth of 6.55% is 119.66% higher than the topic average of 2.98%. All activity starts with views. The more there are, the more opportunity there is to grow by engaging viewers. What category is Best Corporate Events, LLC in?